← The book that will light up your life! 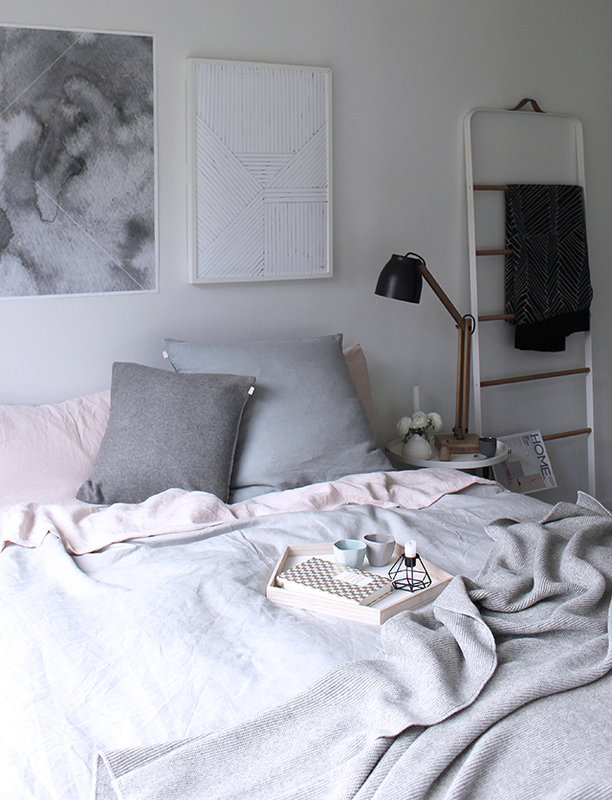 Ask Emeline: How to make a basement bedroom cozy. We recently decided to move our bedroom to the basement so that it would be cool, quiet and dark. It’s freshly painted which is great, but the back door leads to a garage which doesn’t exactly read “sweet dreams”. I asked my favorite artist/designer Emeline how to make a space normally meant as a secondary room (read: dump his hockey bag and her rollerblades) feel cozy and special, the way a bedroom should. Here is her expert advice! Basement bedrooms… those can be tricky! Let’s see now, I’m sure we can break a few rules and create a cozy sweater feel to that room of yours. First off, when trying to create an atmosphere, let’s talk about layers. They work for your outfits, well they work for your spaces too. Color: To keep a warm cocoony feeling, let’s try to keep the palette as monochromatic as possible. Keeping in the whites, creams, and taupes will help with the warmth, and plus, it’s easier to find things in white. Add to that some transparency and reflective materials (mercury glass and antiqued mirrors are nice elements that reflect light without being too harsh) for that glimmer and lux feel. Layers and Texture are probably the things that fall to the wayside most often, because other larger items eat up the bulk of the budget. First: start with the floor and add a rug, or at least landing pads on either side of the bed, that way, you’ve got that warm and cozy feel as soon as you roll out of bed in the morning. 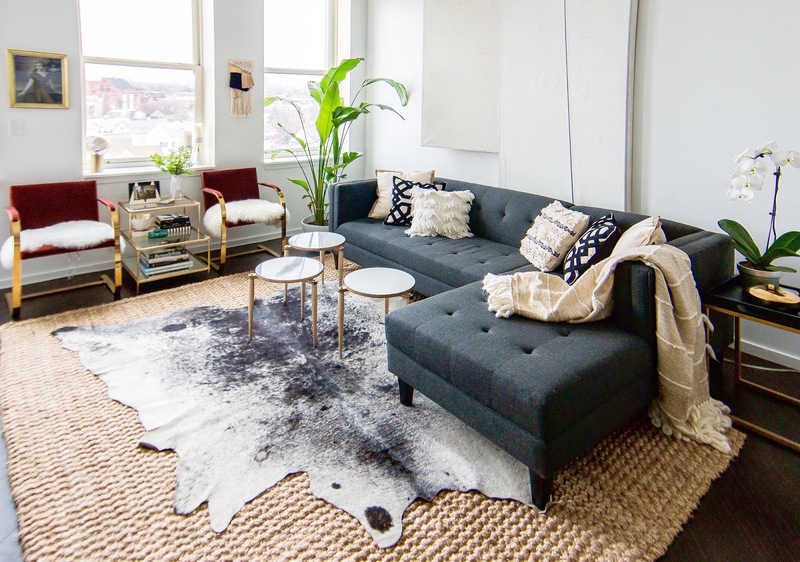 I love the sheep skins, and if it’s in your budget, you could layer the rugs. A larger one under the bed and then the smaller ones on top. 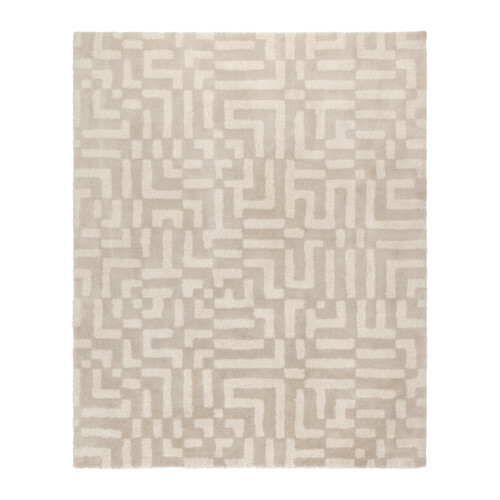 Expert layering (plus, I love those jute rugs). 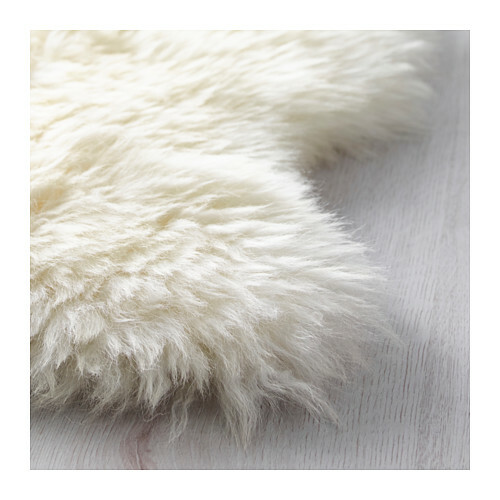 Sheepskin – you can never go wrong with wool! Second: let’s put some sheers up! 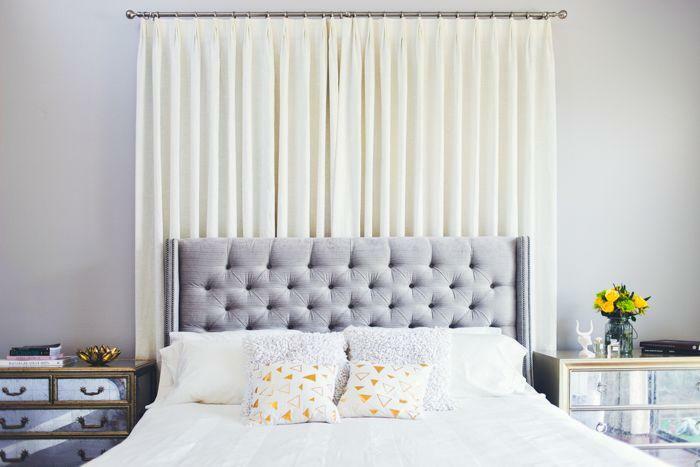 Yup, creating a draped wall will add yet another layer of softness and will help with the coziness factor of the space. It might even make you feel like you’re in a secret hideaway..! 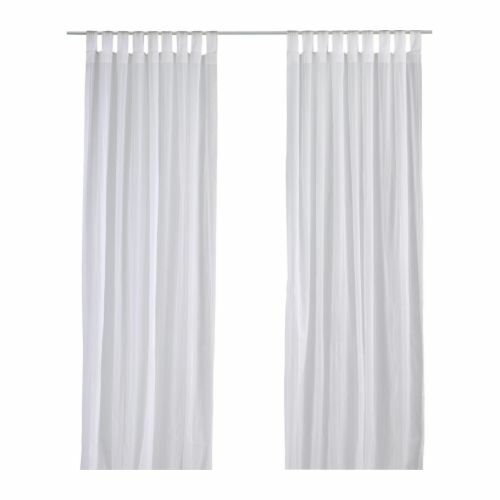 Ikea has my all time favorite sheer that has a slight French dot in it which makes everything feel extra lovely. Instead of mounting them to the wall, you could use the cable system to the ceiling. Very little else can impact the feeling of a room more than lighting. 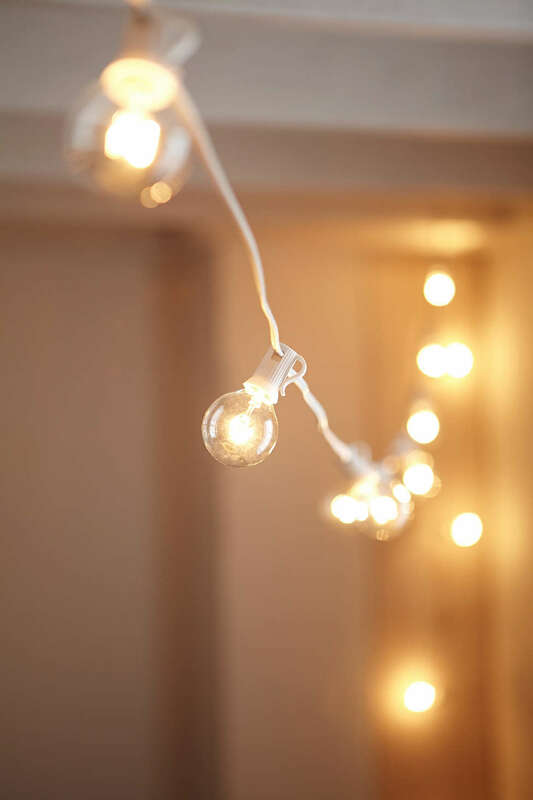 Soft mood lighting, specially little twinkly lights or soft shaded overheads and bedside lamps are a must. Diffused lighting will cast that warm glow throughout and create a nice romantic vibe. Maybe it will seem like Jim Morrison is hanging out behind those curtains… but has that ever been a bad thing? 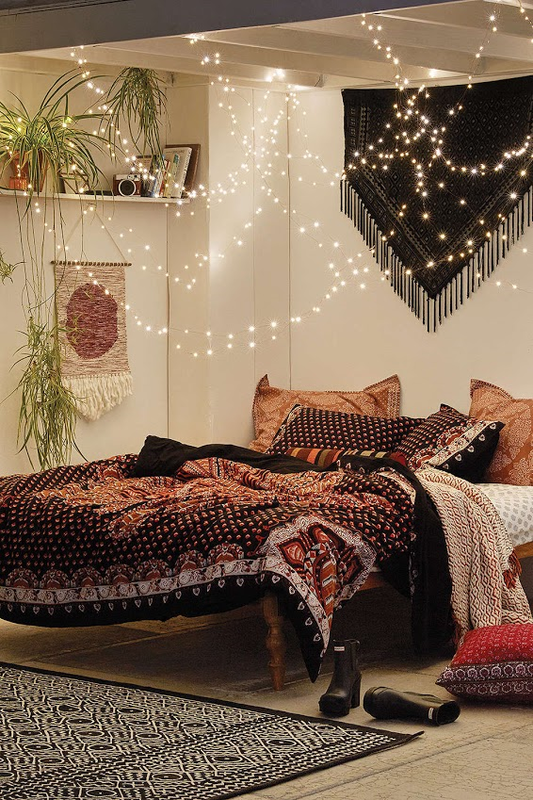 So a string of globe lights and some nice soft bedside lamps would be a good idea. 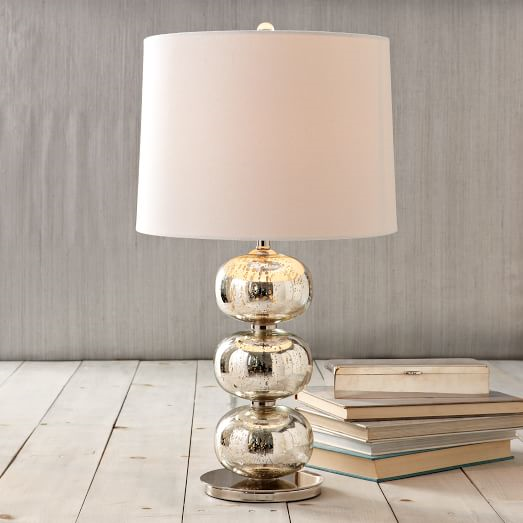 Lamps, Plants and Mirrors… really, I can’t say enough about these items. 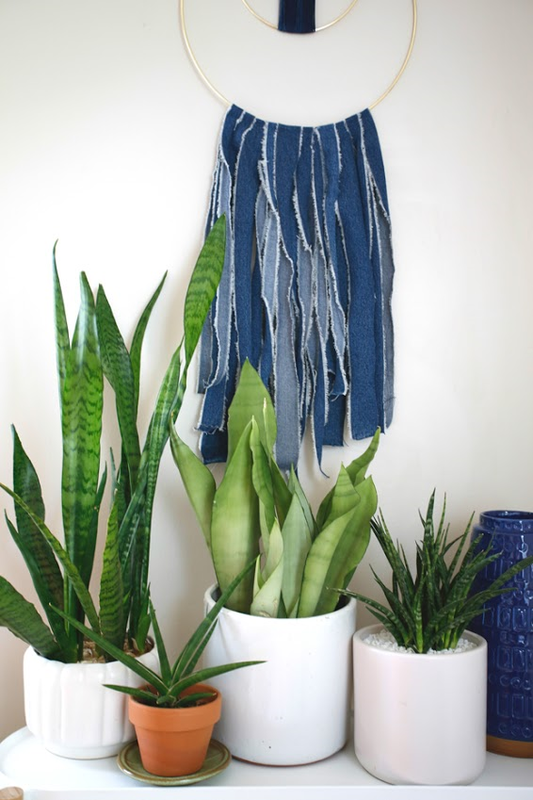 There are many low light loving plants out there, and heck, you could even hang something up near the casement window, which is another opportunity to bring in new soft elements… think of a macrame hanger! Or if you’re insane and not in love with macrame, a ceramic hanger will do. But booooo on you. So, to recap, how to do we distract a basement bedroom from the looming garage? Create a cozy and romantic feeling in the space, so that you won’t be thinking about the garage at all, only about all the delightful layers and softness in your new lair. BTW…Emeline has courageously started to sell her art on-line and I am so excited! I already bought a painting which I will be adding to my new bedroom. Check out her on-line store here and fast. They are selling like hotcakes!